We are currently graded as a 'Good' school under the Ofsted inspection framework and are working towards being graded as 'Outstanding' in all areas in the near future. Please click here to access the School Performance Tables website to see our most recent school data. 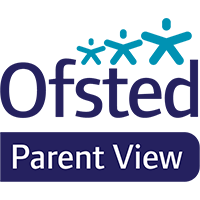 Please click the Parent View image to access Ofsted's website where parents can give their views about a school.